Hip-Hop isn’t just a music genre; it’s a way of life. Back in the day, you couldn’t say you were a true Hip-Hop head without having skill in the five elements (or pillars, as I like to call them) of Hip-Hop. 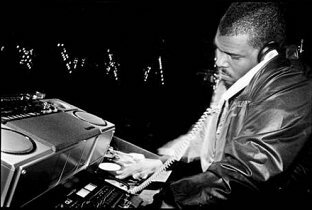 One of my favorite and most prolific DJs, the godfather of Hip-Hop and the Father of Electro Funk DJ Afrika Bambaataa, was the one to define these five elements. 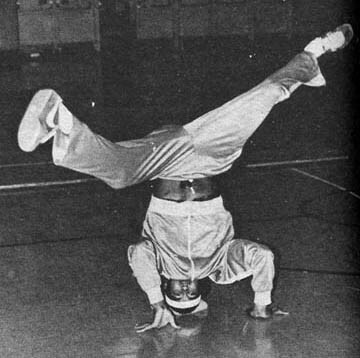 Bambaataa was heavily inspired by DJ Kool Herc and is one of the three originators of Hip-Hop after Herc. The way he spins and scratches seriously sends tingles up my spine and puts the biggest smile on my face! 1. DJing: One of the reasons why Hip-Hop is what it is. The spinning, the mixing, the scratching – having a musical ear and really understanding musical theory and how to combine beats seamlessly is not only important to create great music, but to understand that so many cultures and sounds can blend and bring people together. 2. MCing: “MC” can stand for two things – Master of Ceremonies or Mic Controller. The MC works with the DJ to get the crowd motivated, and he/she does this by saying a few lines over the beat. It first started out as a few lines, and then developed into long form rhymes, and then became a modern term to identify a rapper. An MC must be able to perform in front of live audiences and come up with rhymes on the spot (as opposed to previously written rhymes). Hip-Hop purists (such as myself :)) believe that only the ones who can do this should have the honor of being labeled an MC. 4. Graffiti: The art of writing messages and drawing images in public spaces was another way for people to protest government policies and to mark their territory. Many different mediums were used in street graffiti (also known as “bombing”), but the most popular one is spray paint. 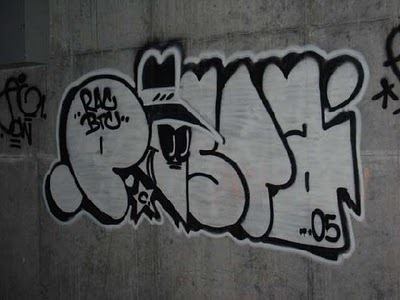 Graffiti is seen as the visual component of Hip-Hop. 5. Knowledge: The fifth and most important element; the reason this blog was created. Educating yourself on Hip-Hop culture is far more crucial than knowing how to do a six-step or uprock. Because of many mainstream artists, Hip-Hop is being portrayed negatively. People think Hip-Hop is about getting high, being violent, objectifying women, and making money. It is NOT. Record companies are instigating this kind of negativity, exploiting a beautiful culture and soiling our youth’s state of mind and morals. It is so important to really learn about Hip-Hop and the way it is socially-conscious and positive, and the way it has brought people together. That being said, I will be posting some great tracks – examples of REAL Hip-Hop – as I keep posting. Some are mixtapes, some are singles, but all of them will be your best friend and your therapy. Remember: Real Hip-Hop is not on the radio, and education is better for your brain than Wiz Khalifa. Read, absorb, repeat.